SU's net price calculator is a free online tool that gives you a personalized estimate of net price. How Does SU's Net Price Calculator Work? SU’s net price calculator asks you questions about your family’s finances and may also ask you questions about your GPA, test scores, activities and other things that may qualify you for financial aid. It uses your answers to figure out how much money in grants and scholarships may award to you. Keep in mind this is only an estimate and not inclusive of any other institutional or academic department scholarships available at SU and does not take into account other types of gift aid you may be receiving from the state or other organizations. There are two types of costs considered in the financial aid process: direct costs and indirect expenses. Together these costs represent the official cost of attendance (student budget). We encourage all prospective students and their families to evaluate SU's net price. 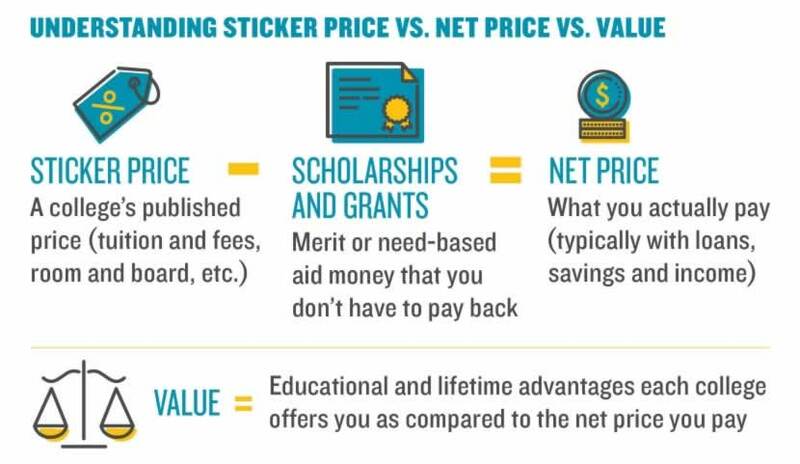 The net price reflects the actual out-of-pocket expense to attend SU after removing grants, scholarships, and other educational benefits from the "sticker" price. Click here to utilize SU's Financial Aid Net Price Calculator to take the next step. Direct costs are charged directly to your student account and payable to the university. They always include tuition and fees. They will also include room and board if you are living on campus and purchasing a meal plan. Please note your eBill will be sent to your SU email account. Questions regarding your itemized statement should be directed to the Cashier's Office. Indirect expenses vary per student and are not included in your bill. These include books/supplies, transportation and personal expenses. Keep in mind that financial aid for undergraduate students is packaged under the assumption that a student is attending full-time (12 or more credits per semester). A student who is attending less than 12 credits per semester will have a lower cost of attendance and will be eligible for less financial aid than a full-time student. Please complete the Course Load Change form and return it to the financial aid office if you plan on enrolling less than full-time as that will impact your costs and potentially your aid. As with undergraduate cost of attendance, there are two types of costs for graduate candidates considered in the financial aid process: direct costs and indirect expenses. Together these costs represent the official cost of attendance (student budget).